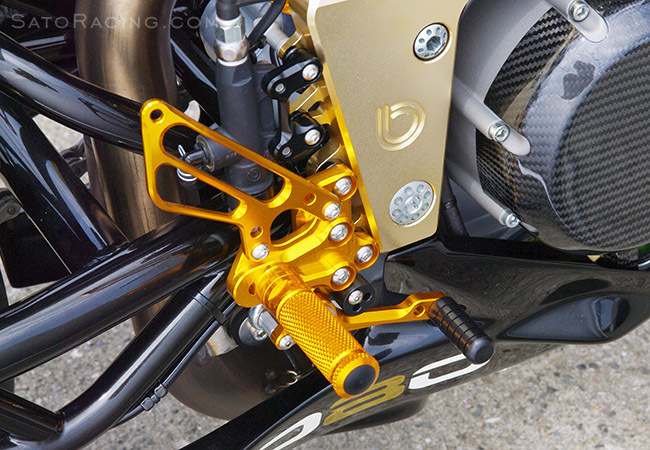 SATO RACING Rear Sets for Bimota DB6 series are made from high grade billet aluminum anodized in your choice of Black, Silver (clear metal), or vivid Gold finish. 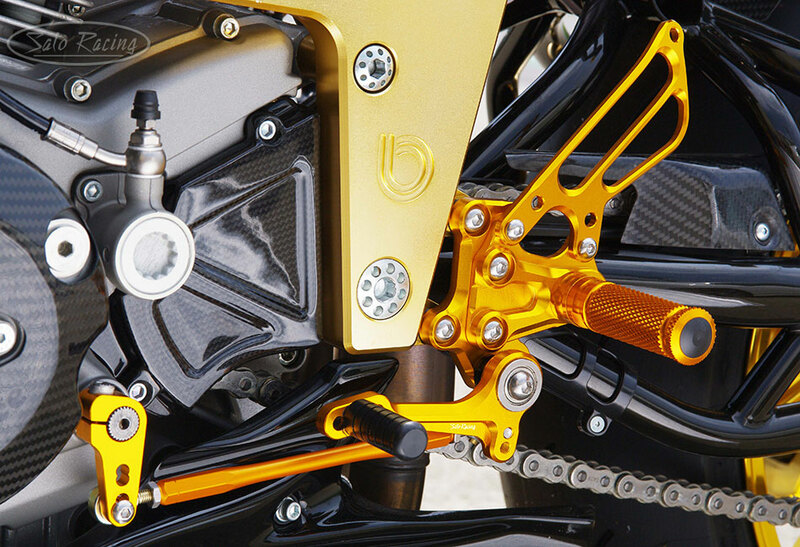 Modular design provides 6 adjustable positions in a useful range that can bring your feet up to 30mm higher compared to the stock rear sets. 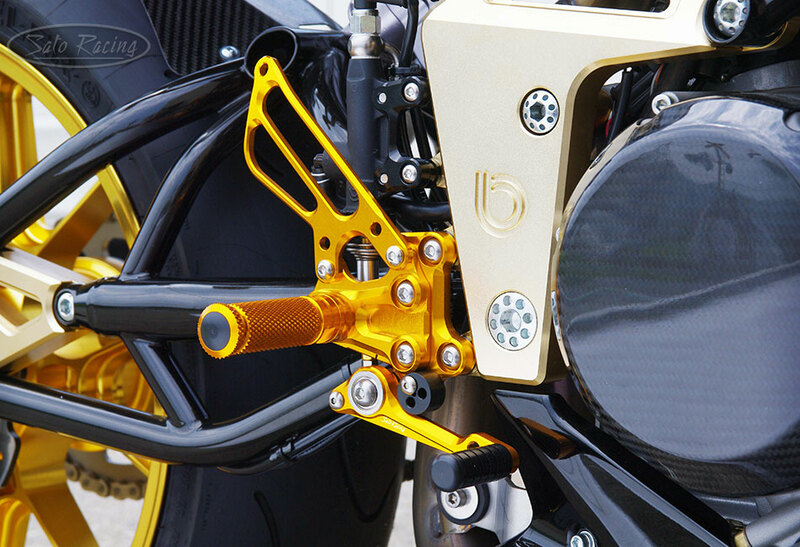 These Rear Sets can be used in stock shift pattern, or flip the included shift arm the opposite direction for GP-style reverse shifting pattern. a solid feel. You can adjust the rest height of the brake pedal by rotating the round pedal stopper. 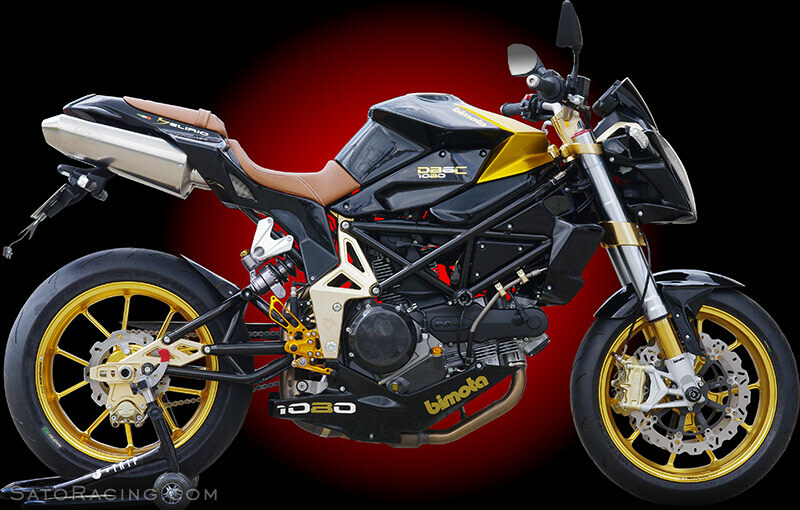 The positions of the Step Plate, Foot Peg and Pedal Tip are adjustable. The Foot Pegs feature a deeply knurled pattern for excellent grip. 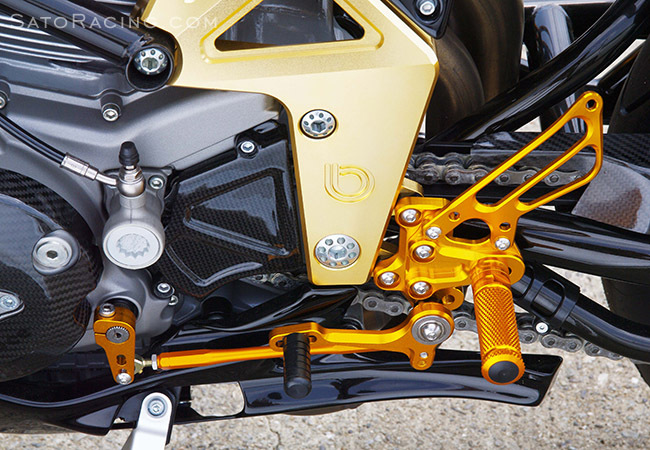 The shift stroke can be adjusted by changing the position of the Shift Rod on the Shift Arm. 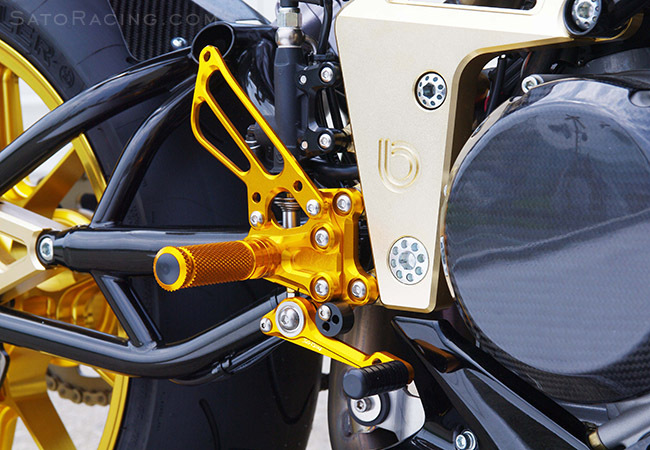 You can switch from stock shift to reverse shift pattern by changing the angle of the Shift Arm. parts list included with your Sato Racing Rear Sets.